Please type your desired tags, e.g. Organic, Geospatial Information Science, Biochemistry, Art & Science, Statistical Inference, Nanosafety, Epigenetics, Single Cell Genomics, lncRNA biology, Technical Writing, Information Systems, water power, design, Poverty, Communication, and etc. When electrical systems fail, there are unexpected interruptions and serious safety issues that can easily account for millions of dollars in repair costs. 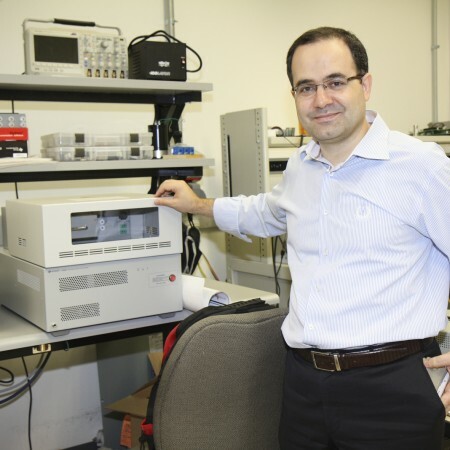 That’s why Dr. Bilal Akin, assistant professor of electrical engineering in the Erik Jonsson School of Engineering and Computer Science, is working to create tools that will allow self-monitoring systems that recognize the possibility of failure at the earliest stage.